We’re gearing up for prom: the beginning of busy season for us! 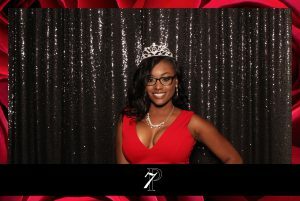 At Clear Choice Photo Booth love prom season and all that it means. We love being part of one of the biggest nights of your students’ lives, and celebrating the end of their high school career with them. The ability to provide timeless keepsakes to them makes us so happy! Keep reading to find out why a prom photo booth is a great addition in your planning. Provides a fun keepsake, both physical and digital. We’ve all seen the classic prom photographs that used to be all the rage in the ’80s and ’90s. A stiff pose with an awkward smile, highlighting any acne and nervousness. In 2019 we’re leaving behind boring and predictable. Students grab their date or a whole group of friends and turn on digital props and GIFs! Within a minute, the photos are printed and texted to their phones. Immortalizing an important milestone, and a night to remember. Keeps the party going, even when a dance break is needed. Dancing takes up a lot of energy! Every once in awhile a student might need to take a small break to refresh themselves. Instead of relaxing at a table, you can encourage them to have some fun at the prom photo booth. They can catch their breath, while still keeping the energy up and the fun at high levels. The attendant does all the work, not the students or the chaperones. We set up two hours before the event, run the photo booth, and then take it down when the time comes. We don’t need help from the chaperones, the students don’t have to do anything except hop inside to have some fun. Everyone is happy while keeping their focus on what is most important. Digital props can be used to add to the fun. Physical props are always fun an expected with photo booths. But modern photo booths from Clear Choice Photo Booth now incorporate Digital Props! Face-mapping and high-tech, these props take but no precious space in your venue. With dozens to choose from, they’re a great way to break the ice in the booth. Custom photo strip design to reflect dance theme and/or school spirit. We custom design all photo overlays for every prom photo booth. You can use a certain color combination to represent the school or prom theme! Our graphic designer helps you through adding customization to make the perfect overlay. Teachers can have fun too in a prom photo booth! Photo booths are always a hit with the teachers on duty too! Chances are you’ll want to hop in the photo booth, pick out a prop and have some fun making crazy faces for the camera. All photos are available to view online the next business day. All of the photos taken from the event will be available to view online the following business day. It’s fun to see how much fun everyone had, and how crazy they got! Feel free to contact your local office if you have any questions or would like to make a reservation. For more updates and information, you can visit our Instagram or like us on Facebook. Or peek at our sample gallery from previous school events! August means it’s pre-pumpkin spice season. Which means the local mall is not far from playing holiday music. Which also means companies are assigning the annual holiday party planning tasks. A photo booth always breaks the ice. 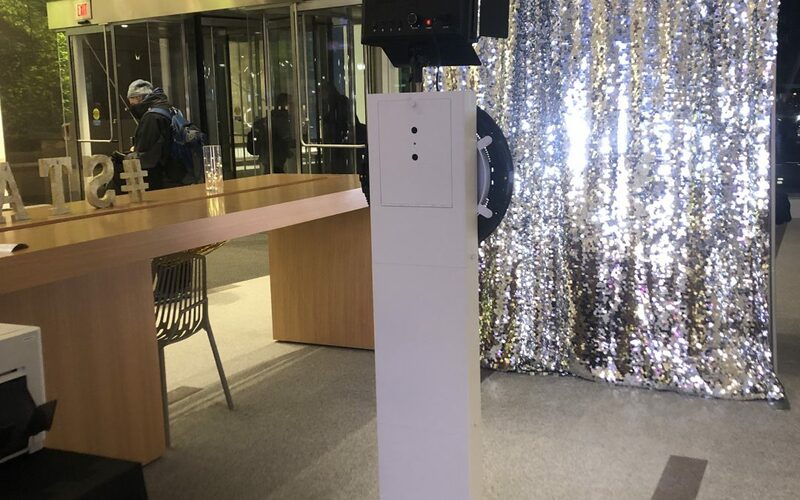 For the party guests who aren’t natural minglers, or wouldn’t come near a dance floor, a photo booth is a great alternative for entertainment. It’s always fun to see those otherwise wall-flower colleagues getting goofy in our booth. And as an added bonus, you everyone can brag about how much fun they’re having at the party you planned when they share their digital images on social media. We have the perfect backdrop. Whether you’re embracing your wintery surroundings or trying to escape them, we have just the backdrop. 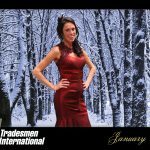 Either choose from one of our dozens of beautiful backdrops, or create your own with our green screen option. 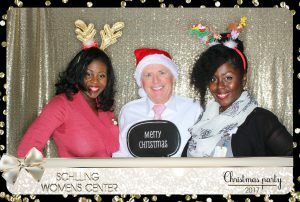 Tie in the theme of your holiday party with your photo overlay. 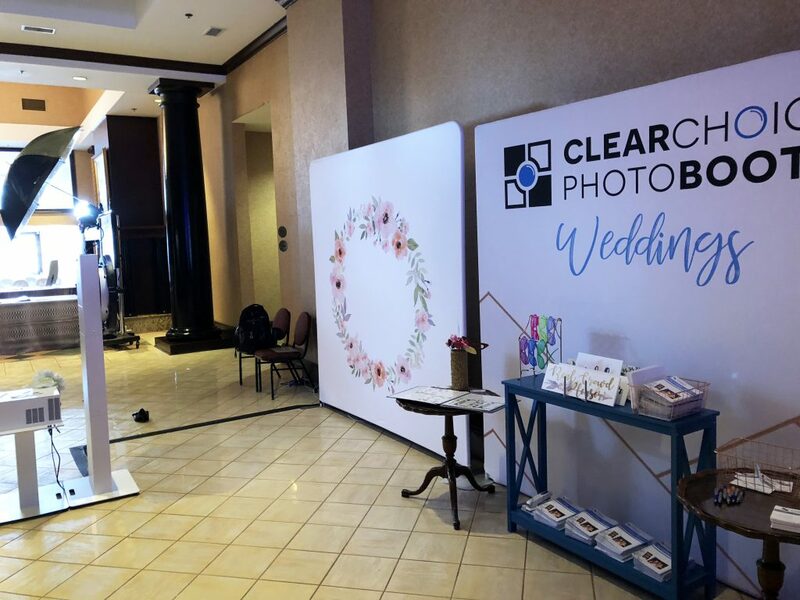 Every booth you book with Clear Choice Photo Booth comes with an overlay for your photos that is completely customizable. Planning a cozy ugly sweater get together in a cabin? We got you. How about a glamorous glittering soiree? Still got you. Or getting Nauti & Nice with a beach themed party? BAM. Still got you covered. 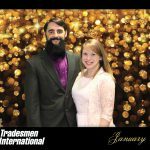 We have dozens of beautiful templates to choose from that can be changed to better fit your event, and in-house graphic designers who can work with you to create something perfect. As a time-tested trick of the trade, we’ll tell you that props are a great way to get your most camera-shy guests giggling for photos. 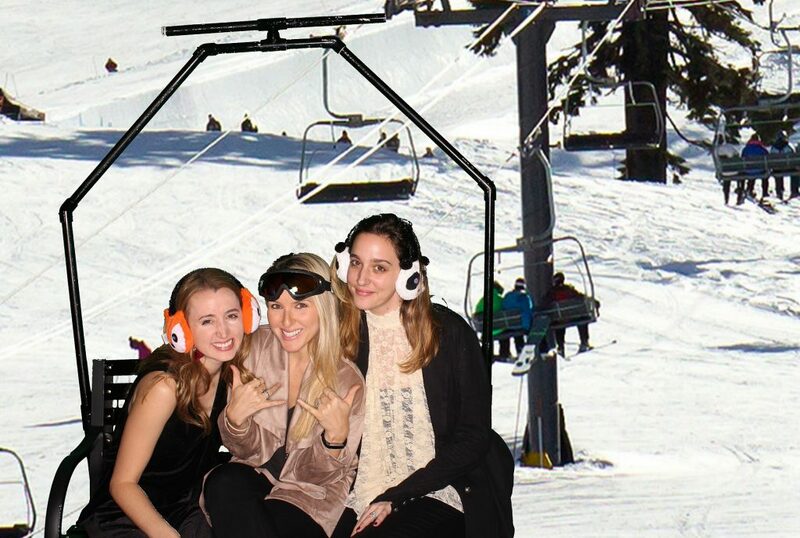 A company holiday party is no exception. Whether you prefer physical props or digital props, or even a mix of both, they’re always so much fun. And be honest, how much would you love to see that certain reserved coworker posing in reindeer antlers and a red nose? And that not-so-reserved coworker with a prop? Real talk, you need photos of those moments too. You get to have fun while we do the work. Forego the stress of a DIY booth by letting the pro’s do everything for you. Sure, you could spend a few hundred dollars on a backdrop for the wall, some props, and an instant film camera. It’s cute and inventive. You know what else it is? Work. You know what costs about the same but you do nothing but make a reservation? A selfie booth. And it’s 0% work for you and 100% work (and lets be honest, also super fun) for us! So don’t hold back on that egg-nog. 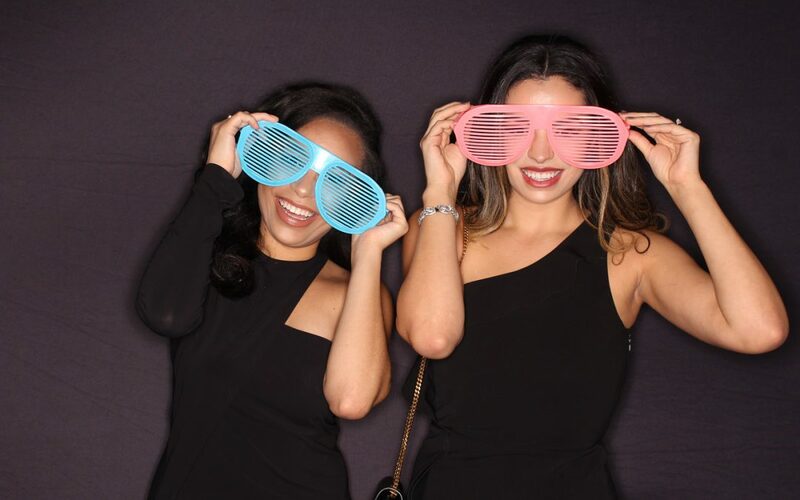 If you are searching for a professional and fun photo booth rental perfect your holiday party, family party, or any party at all, you have found your match! Check out our services to find what best fits your needs. Contact your local office to speak with us directly. For more updates and information, follow us! It is important to ask as many questions as you can when you are considering working with a photo booth rental company. We understand that there are other companies out there other than Clear Choice Photo Booth (wait, what?) and you need to do your research! But before you jump in with just any photo booth rental company, be sure to ask these five important questions! Depending on your event type and what you envision, this is an important question! Boomerang GIFs shared on social media might not require a high-quality camera, but what if you wanted to give your guests the red carpet experience Since the beginning, CCPB has used DSLR cameras and they are continually upgraded to ensure the best quality photos. We also update our photo booths every six months or so. So before you decide to go with a “cheaper” company, make sure they aren’t slacking in the quality department! What are your backdrop options? 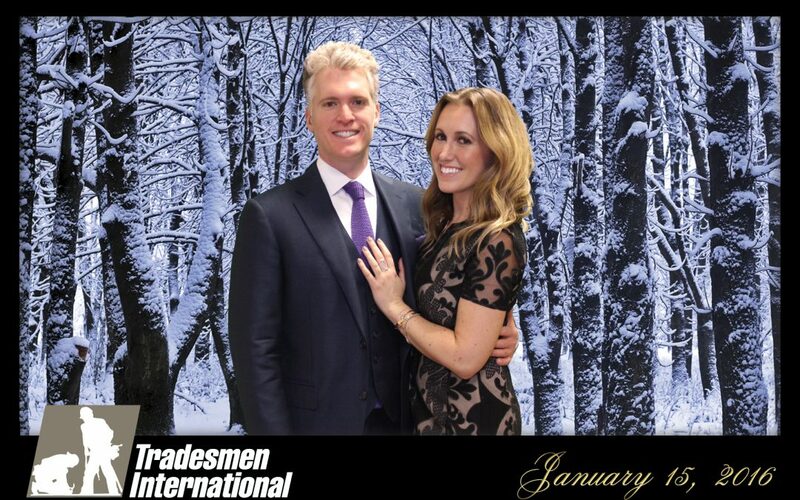 Your backdrop is important to consider when renting your photo booth. Too much pattern in the overlay, backdrop and theme of the party could look messy. On the other hand, not enough color can look boring! See what options you have, because the backdrop will be in every photo. And in case you were wondering, we offer many different colors and styles at Clear Choice Photo Booth. 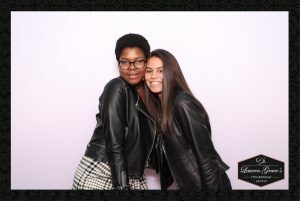 You can even ask us about our custom backdrops or green screen, which gives you endless creativity with your backdrops! Do you offer props? Can I bring my own? For companies that mainly service corporate events, props aren’t always necessary. But if your event is social, such as a wedding, graduation party, or a reunion, chances are you want to incorporate props into your package. 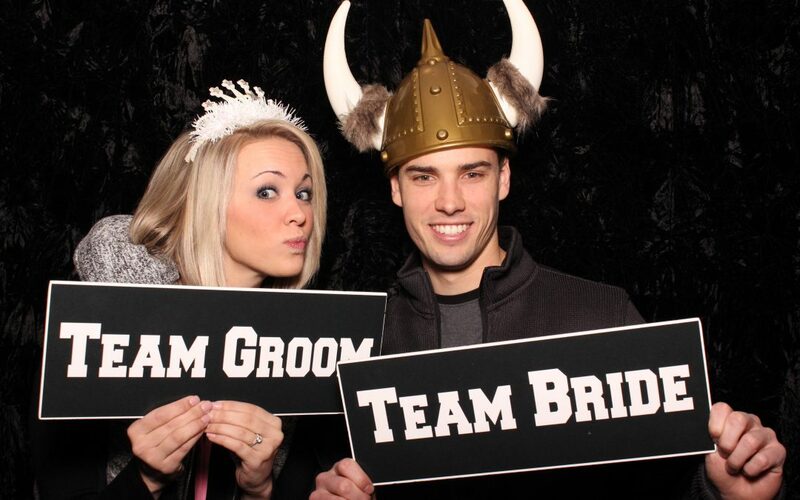 Clear Choice Photo Booth offers props in almost all of our packages—and you can add it on to all of them. We also say, “Sure! The more the merrier!” if you ask to bring your own props. We’ll keep it organized on the table for you and separate it at the end of the event so that you can take yours home with you. This is really important! 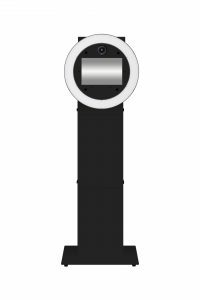 You want to make sure that you are renting from an experienced, quality photo booth rental company. Make sure that the majority of reviewers sing high praises to the company and were satisfied with their services. Of course, every company is going to have those few negative reviews, but if those overtake the positive, than there’s trouble. 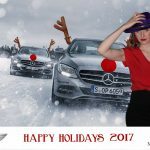 We at Clear Choice Photo Booth get a lot of business from word of mouth and we take pride in many of the reviews we have received. You are welcome to check them out over at The Knot, Wedding Wire and Facebook! Now that you know what questions to ask, go ahead and contact your local office or send us an email! We would love to hear from you and answer any questions you may have! Welcome to the first installment of a series of blog posts featuring wedding venues! 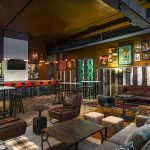 Over the next few months, check back here as we tour Cleveland’s best spaces to hold your next event. 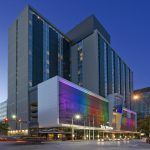 This week, Melanie and Monica from the Westin Cleveland were kind enough to spend some time with me to tell me all about the Westin Cleveland. Certainly the perfect, unique and locally-minded space for your wedding reception. The Westin strives to enhance each guest’s life with their Six Pillars of Well-being. Consequently the wedding experience is no exception. Urban Farmer is the full-service restaurant adjacent to The Westin. It strives to honor CLE through building relationships with local farms, ranches and fisheries. Crafted at Westin is a mixology program that uses fresh, preferably local artisanal ingredients for drinks exclusive to Westin. The chefs have created menus that not only source sustainable and organic foods farm to table, but emphasize nutrition and style. Above all, the culinary team can always work with a couple to customize packages. They are open to creating something that meets and exceeds their expectations. And when the reception is over, your guests can still eat well with in room dining available around the clock. Ensuring that you and your guests have a relaxing stay, each guestroom includes an award-winning Heavenly Bed and Sleep Well Lavender Balm. 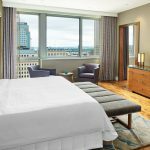 484 well-appointed guest rooms are available at the Westin Cleveland. Half with an incredible lake view, and the other half with a breath-taking view of the Cleveland skyline. Furthermore, the newly-weds receive a suite upgrade with each wedding package. 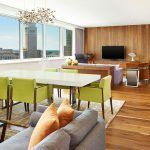 Located on St. Clair Avenue, the Westin Cleveland is within walking distance to several Cleveland destinations. Most noteworthy: East 4th St, the Rock & Roll Hall of Fame, Progressive Field, the House of Blues, Quicken Loans Arena and many other ways to enjoy Cleveland to the fullest. Also provided is a late checkout on Sundays at no extra charge, along with extended weekend breakfast hours. The RunWESTIN program is a concierge guided run of Cleveland that can fit into your guest’s schedule. And if they couldn’t fit their running shoes into their suitcase, no problem! 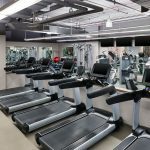 The Westin also offers Gear Lending, a partnership with New Balance, which gives guests access to workout clothes and shoes. To enhance your guests’ stay overall, the Westin Cleveland incorporates ways to enjoy their environment during your wedding weekend. Featured are thousands of local artists throughout the hotel. As a result, guests can experience Cleveland though a curated collection. Guests can download the free WestinCLE Art Tour App to find more information about the artwork and tour interactively. The beautiful, open lobby has with natural light filtering in. Furthermore, impeccable customer service and friendliness of everyone at the Westin, your guests feel welcome and at ease. Hopefully your guests will be able to leave their work behind to fully enjoy your wedding weekend. In contrast, those that may not have that opportunity won’t miss a beat with several features to keep them productive. With a full-service Starbucks and a business center on-site, popping in to get a little work done is easy. If they need a little more, Westin offers Tangent: a flexible work space that is rentable by the hour. Because it is fully stocked with office supplies and audio visual capabilities, it is the perfect meeting space for small groups. 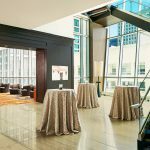 With 16 rooms available for events, the Westin Cleveland Downtown is a full-service venue. 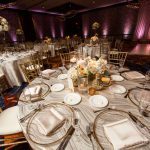 Complete packages will include food, bar, linens, centerpieces, uplighting, tables, chairs that can all incorporate the design and look each couple wants. Also, upgrades can be handled in house. 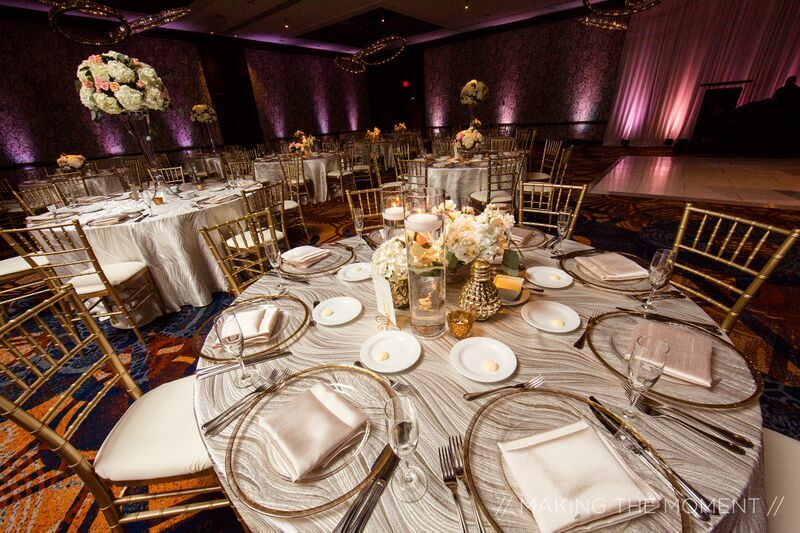 While many venues may not be able to accommodate large weddings, the Orchid Ballroom at the Westin Cleveland has 9,000 square feet for receptions up to 450 guests. The Westin Cleveland has over 20,000 square feet available for events. From the rehearsal, to getting ready with an on-site mimosa bar, to the reception and even post-wedding brunch, the Westin Cleveland has you covered. Finally, their dedicated event planning team has a high attention to detail and a passion for weddings. Begin your happily ever after with a winner of The Knot’s Best of 2018! Contact Monica Dvorak or Katie Korte for a site tour at 440-730-4338 or email sales@westincleveland.com. We believe wedding planning should be fun rather than overwhelming, so we’re inviting our favorite wedding partners to help you through the process! This post is part of a series highlighting wedding vendors. You can find more wedding vendor highlights HERE!